I was lucky enough to taste Julia Sherman’s cooking in real life at an event for Domino Magazine that my girl Jen hosted for a group of our friends last year. Every aspect of the meal was insane, but the standout dish for me was the soup. It was a corn-based soup with lump crab meat and I swear to you, I still think of that bowl of golden goodness on the reg. I knew that if Julia was going to contribute a recipe to Bleu that is had to be soup. 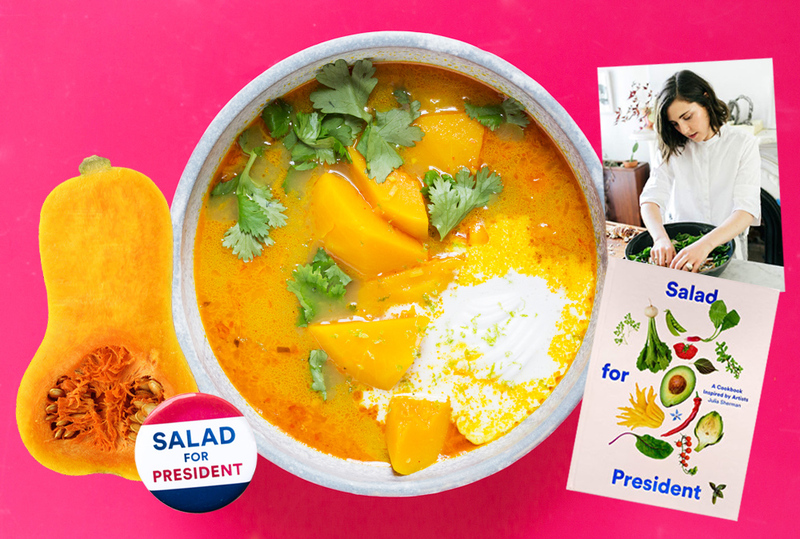 You’d think she would be cooking up an immaculate salad for our drooling pleasure, I mean she wrote a book called Salad For President, which I proudly own and use, and I freakin’ love salad, but no — bring on the soup, please! The fact that she showed up with a Thai coconut version made my heart jump (I love Thai food!) and my mouth is salivating just thinking about it. I cannot get into the kitchen fast enough to try this! 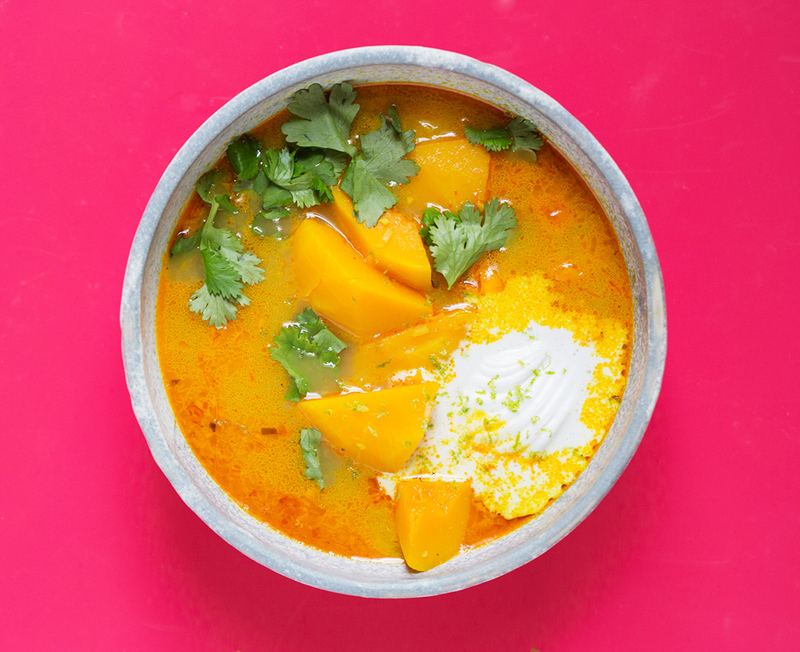 Thai Coconut Soup by Julia Sherman. Do ahead (optional): Place can of coconut milk in the freezer for 15 minutes to make the cream and the liquid separate. Instructions: In a medium saucepan, add coconut oil, garlic, shallot, chile, ginger, turmeric, coriander and salt. Sauté over medium heat until fragrant, about 5 minutes. You don’t want to brown the ingredients, so if they start to brown add a splash of broth to hydrate. Remove outer layers and the top half of the lemongrass and discard (we want the fatter root-end for the soup). Make two crosswise incisions in the stalk to reveal the inner layers, keeping the root-end in-tact. You are trying to create more surface area to infuse the broth. Set the root on a kitchen towel and pound with the back of the knife or small cast iron pan. This releases the fragrant oils. Add squash and lemongrass to the pot, and stir to coat with spice mixture. Add broth, fish sauce and curry paste and bring to a boil. When the soup starts to bubble, reduce to a simmer, add tomatoes and cook for an additional five minutes, or until the squash is for-tender. While the soup simmers, scoop the coconut cream into a small mixing bowl. Using a hand-mixer, whip on medium speed until you reach the consistency of whipped cream. Add 1/2 cup of cream to the soup, and reserve the rest for garnish. Portion soup into individual bowls, add one tablespoon of coconut cream to to the top of each. Garnish with lime zest and a handful of cilantro and basil. Serve with lots of limes on the side so you can season the soup to taste. 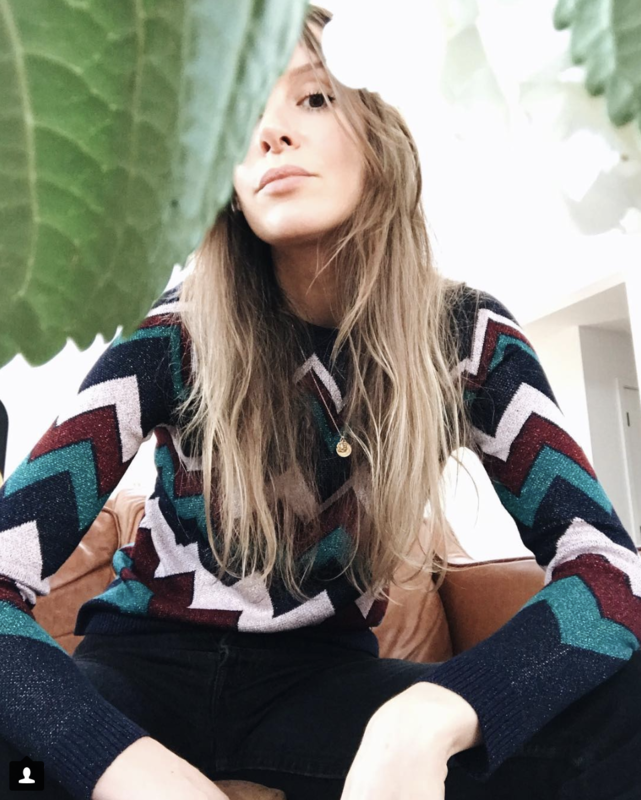 James Kicinski-McCoy is the 30-something Founder and Editor-In-Chief of The Bleu. She likes tequila, picks fights with her husband so she can have the bed to herself, and is trying to figure out that work / life balance.